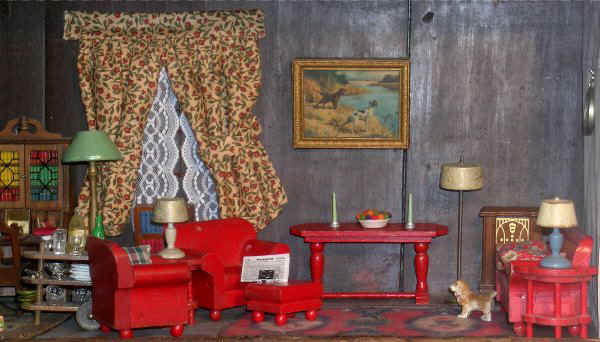 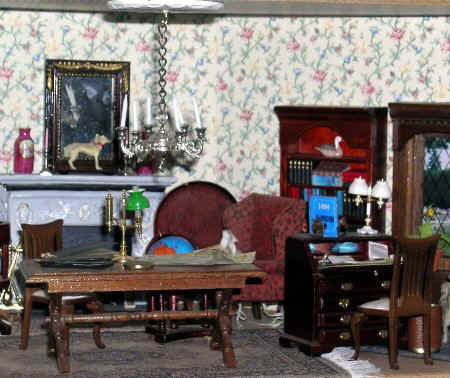 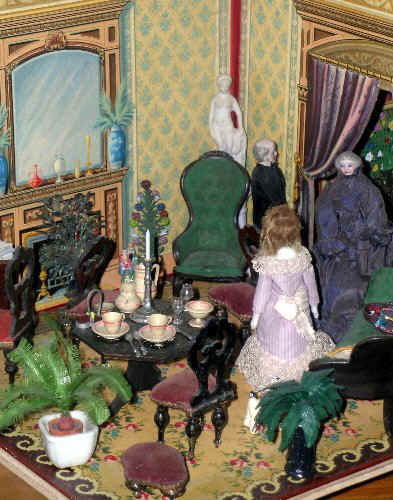 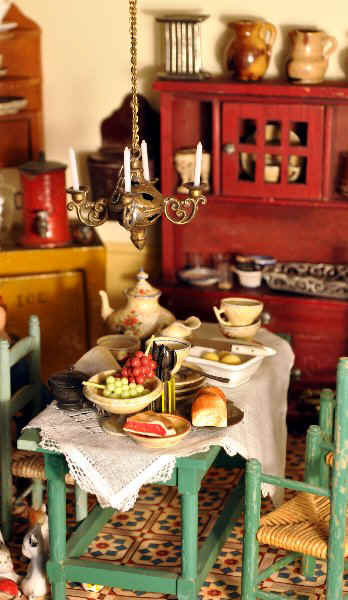 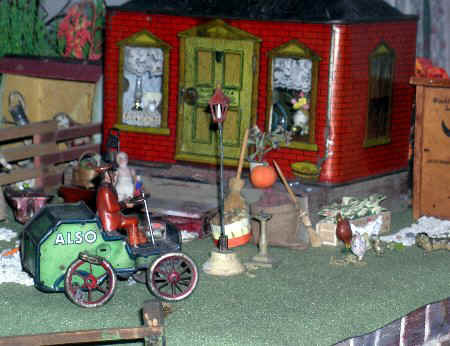 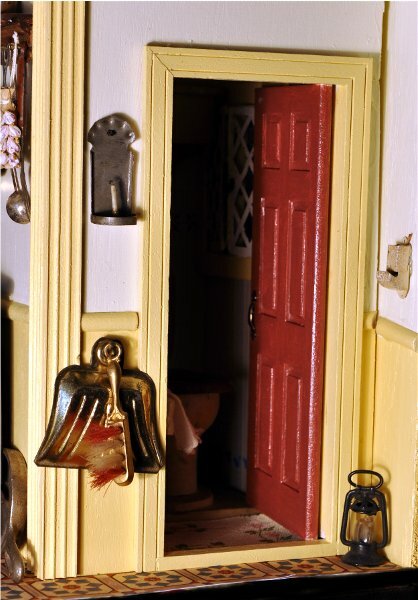 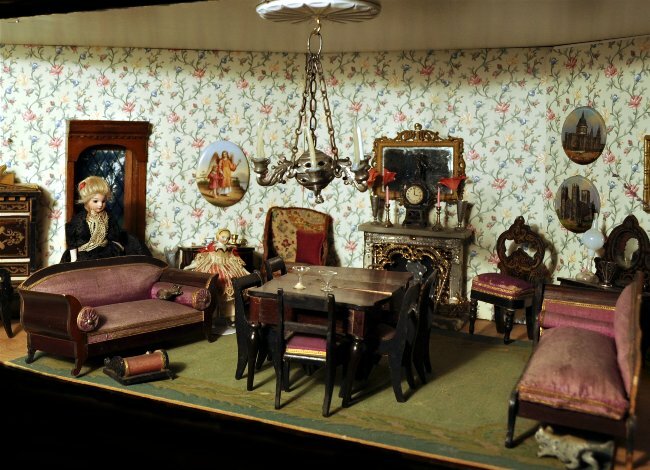 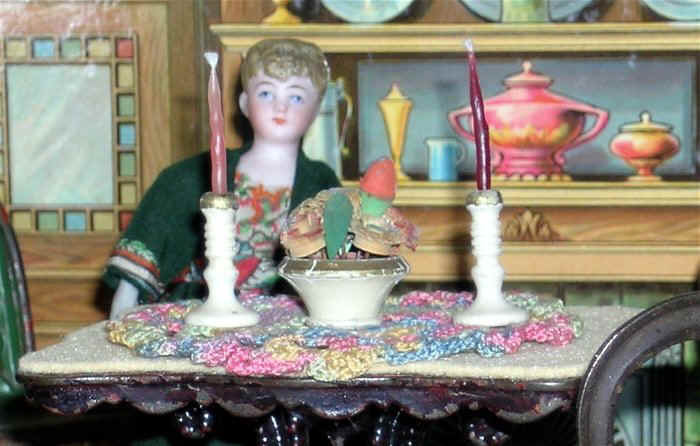 Acquiring appropriate example of lights for dollhouses of various ages gives the collector a sense of satisfaction: historical accuracy is achieved, fixtures are attractive, and -- in the case of dollhouses with wiring or batteries -- an element of reality is present when the lights are "on". 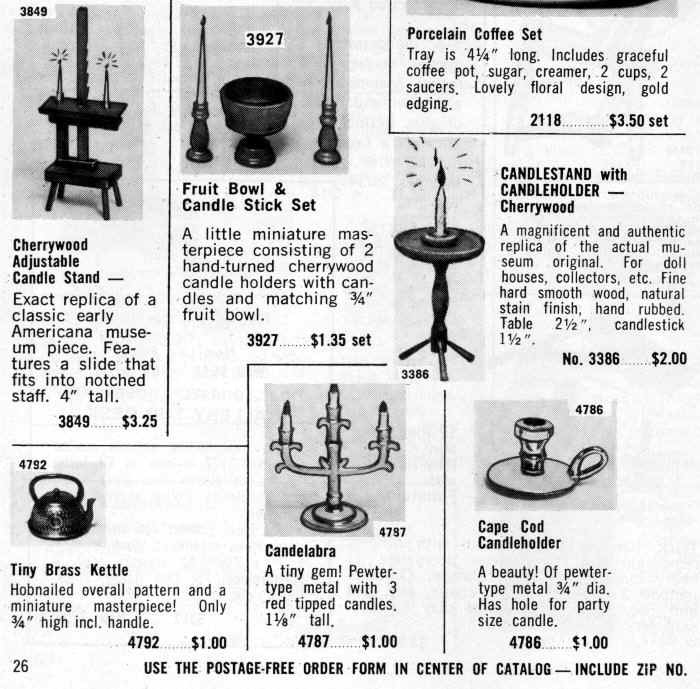 The years from c1890 to c1920 are intriguing as the technology for lighting houses changed from candles, oil (kerosene) and gas to electricity. 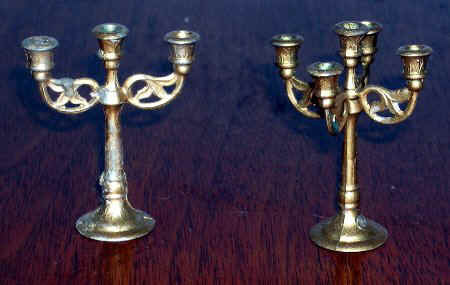 Pre 1920 fixtures are difficult to find making them valuable. 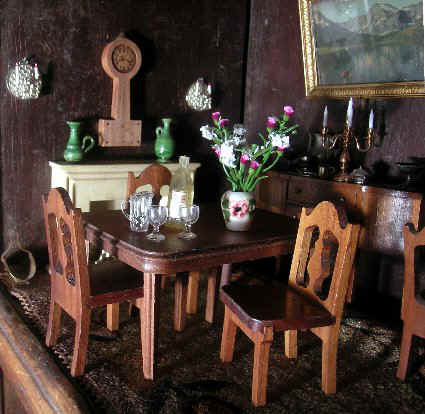 Their authenticity can be hard to determine, particularly when purchased from photographs and descriptions third-hand, such as on web-based auctions or sellers. 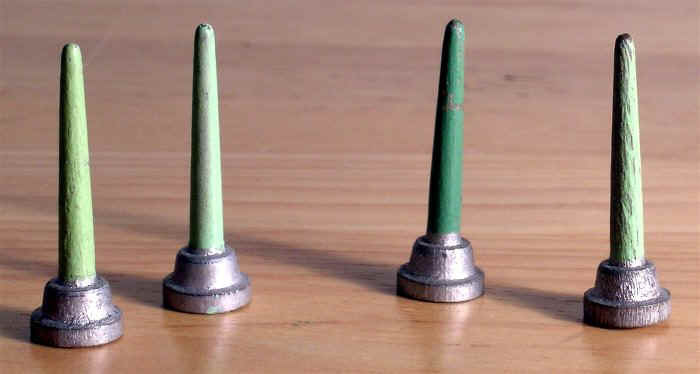 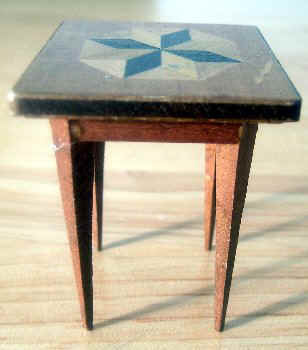 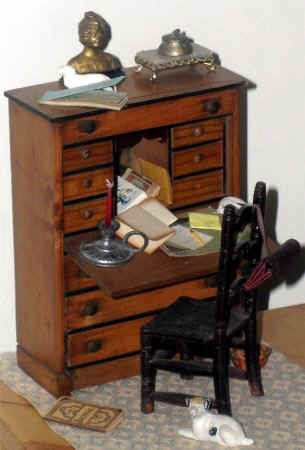 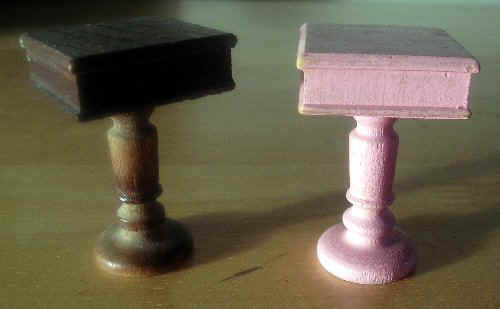 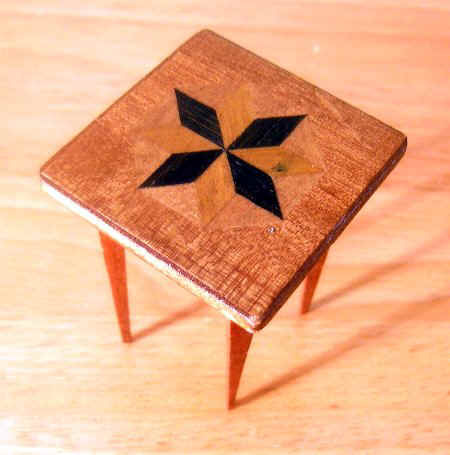 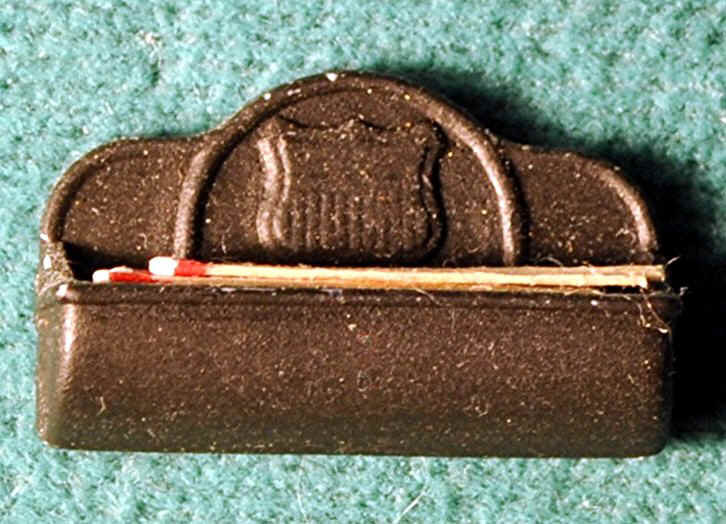 The problem is that from the 1960s on miniature "colonial" artifacts were reproduced for adult collectors. 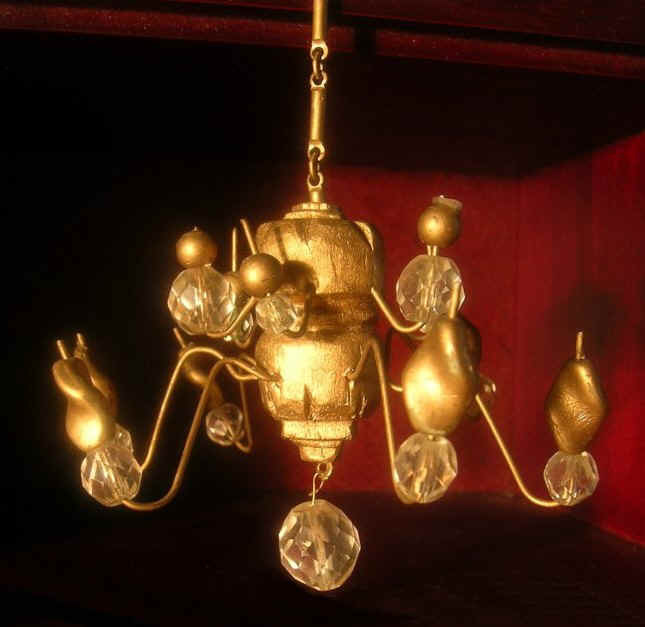 It is, therefore, too simplistic to place types of lighting fixtures in chronological order to determine their age. 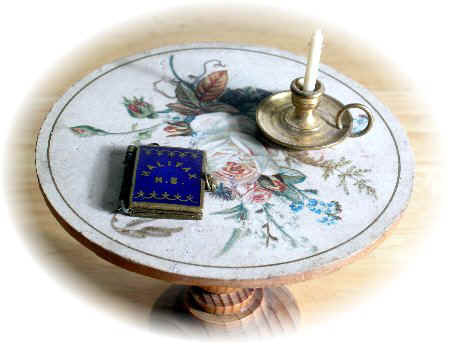 Other factors, such as place of origin and material, are important. 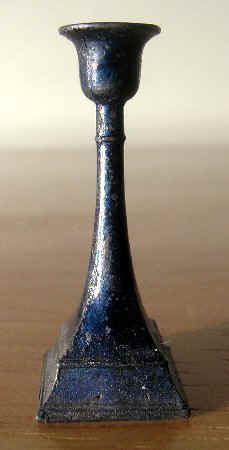 For example, a lamp labelled "Made in China" is likely relatively recent in manufacture and plastic components suggest a post 1940 date. 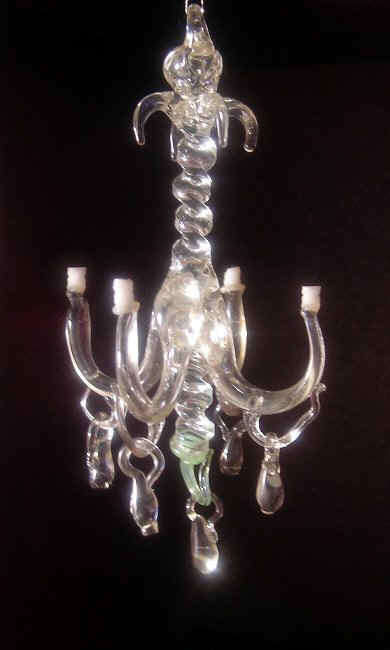 Unidentified glass lamps are the hardest to feel certain about their age. 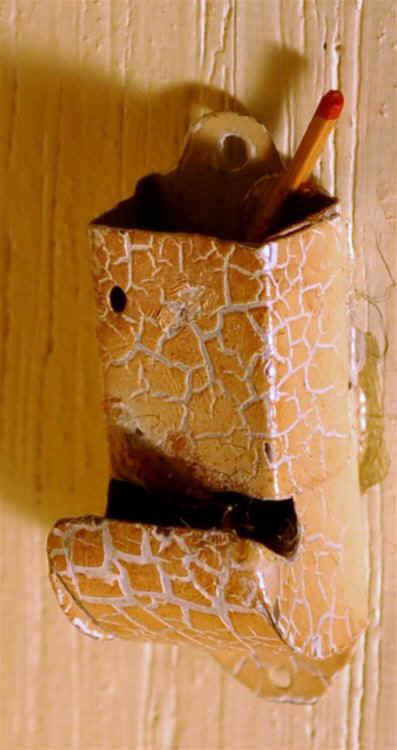 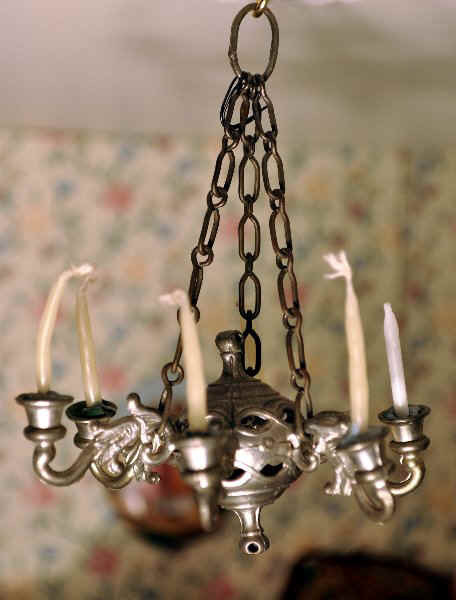 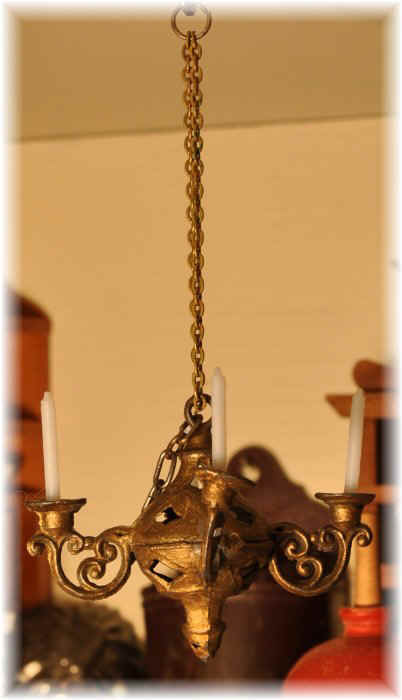 Fixtures with recent original electrical wiring are easy to identify as modern (old wiring, however, can be found on early 20th century lights). 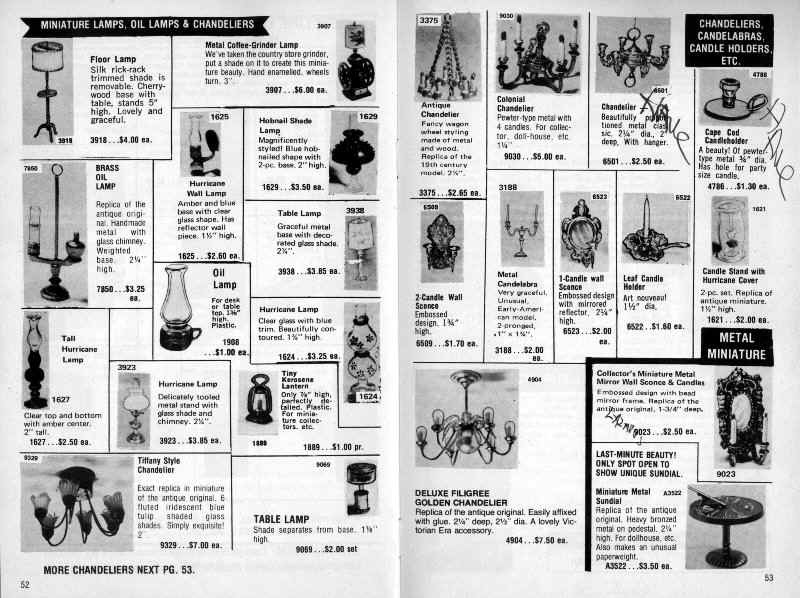 In this 1975 catalogue from Federal Smallwares (distributors of Shackman products made mainly in Japan, China and Indonesia), New York, the dollhouse lights range from "colonial" and "Victorian" candle holders to "antique" oil lamps to contemporary electric lamps. 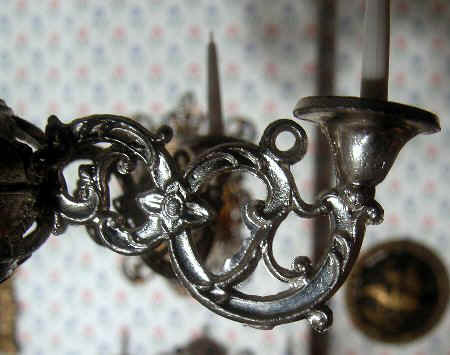 Some are made from plastic but others from metal and glass, as the originals had been. 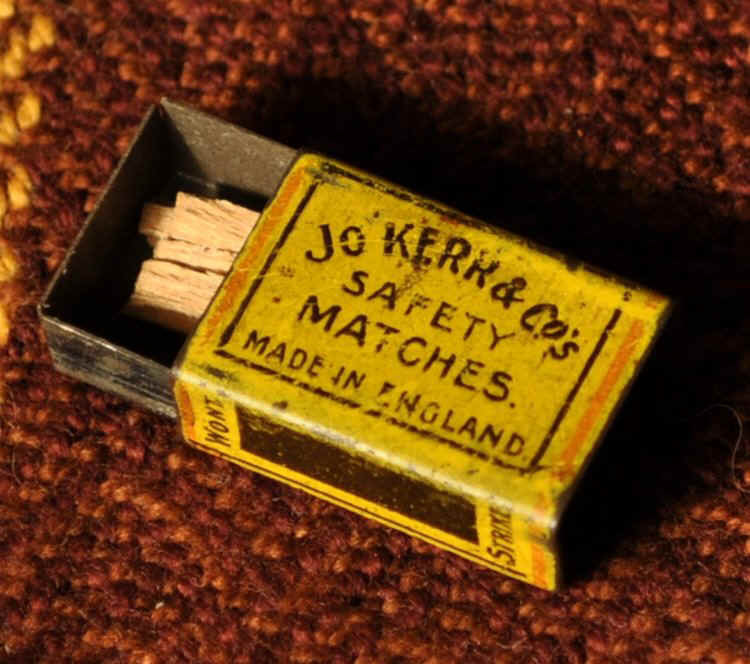 Many were distributed without identifying labels and those with glued-on "Made in..." labels may have lost them over the years. 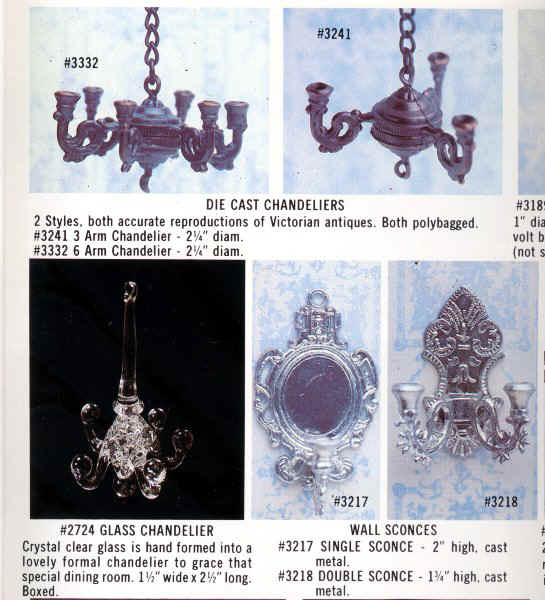 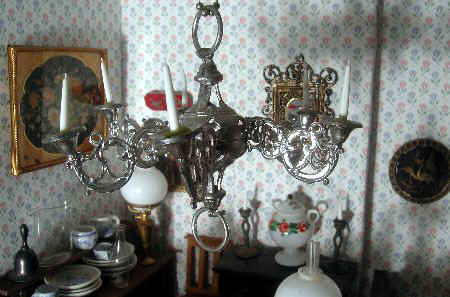 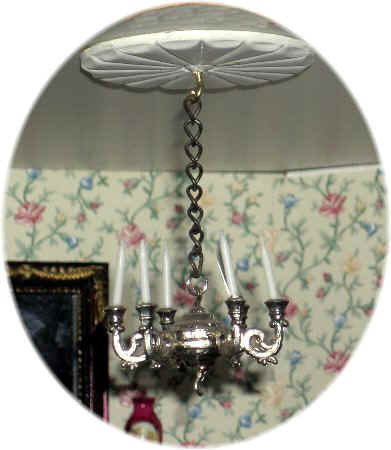 There is, of course, nothing wrong with collecting anything shown here but you don't want to pay over $100 for an antique chandelier, described as c1900, and receive a Shackman 1975 example, worth much less. 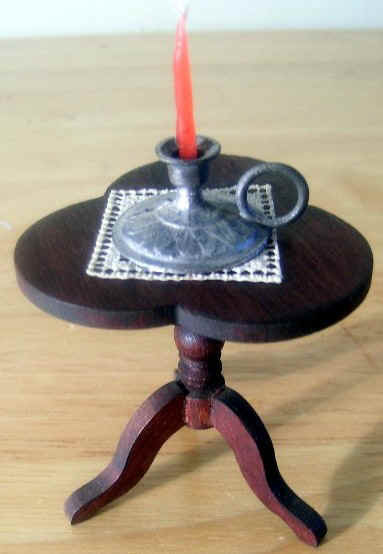 Candles have been a source of illumination throughout the 19th and 20th centuries but their importance diminished once kerosene or oil became popular in the 1860s. 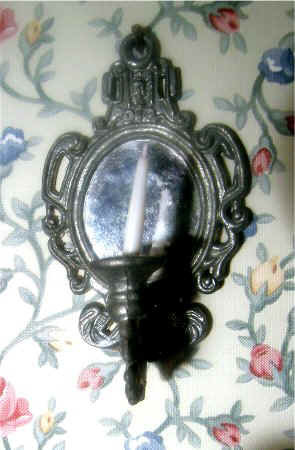 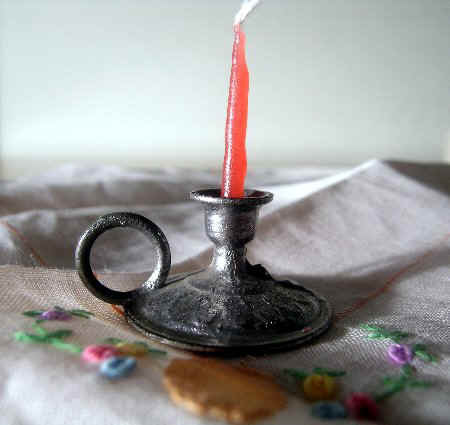 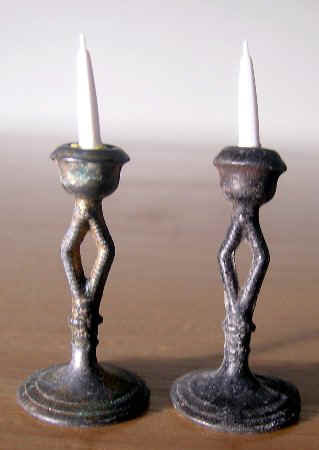 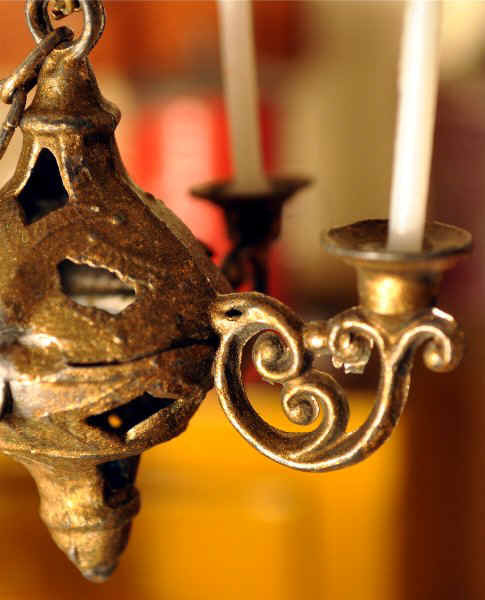 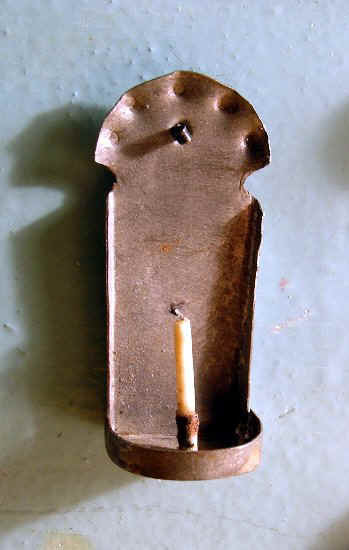 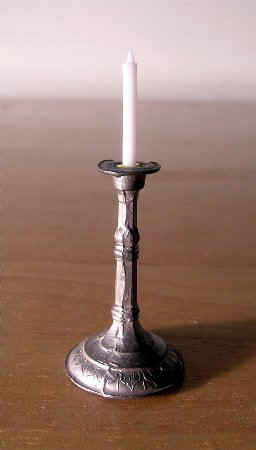 Oil was considered a safe fuel and gave superior light to candles. 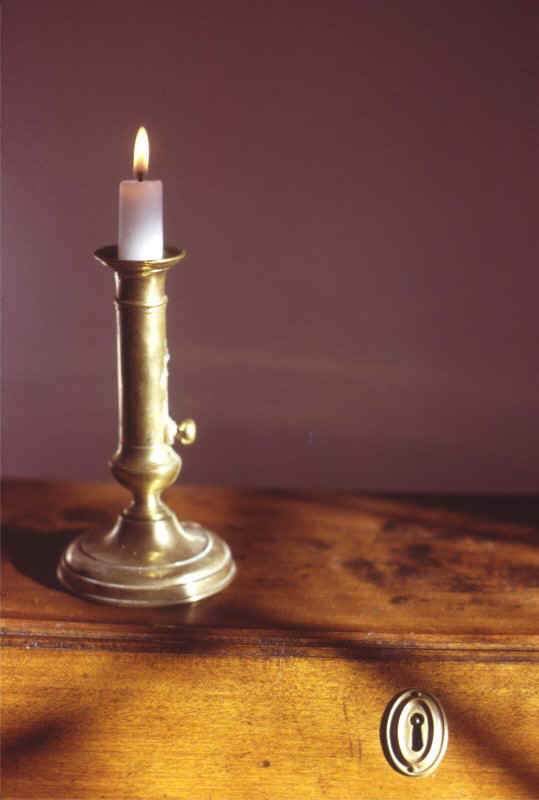 The latter, however, was historically a cheap and readily available light, particularly for those living in areas not serviced by gas or electricity such as villages and farms, and are kept on hand today for those times of unreliable electric power. 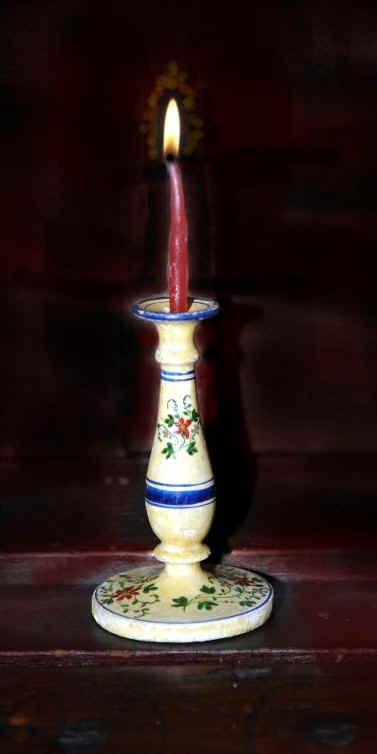 Paradoxically, this pragmatic aspect lived with an aesthetic appreciation of the romantic quality of candlelight. 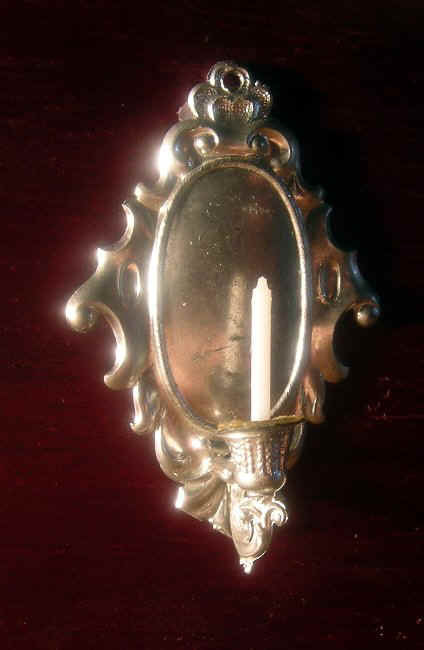 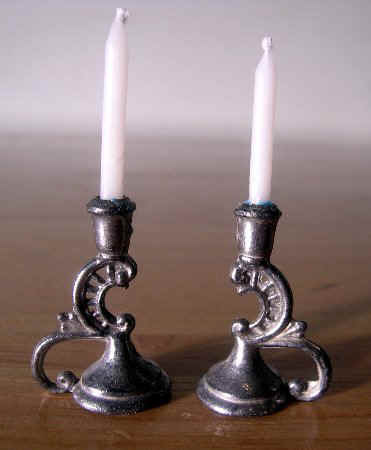 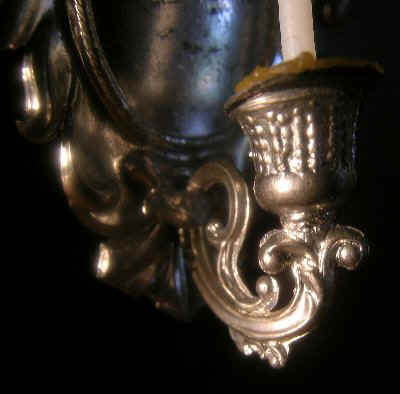 Out of necessity the poor might need to light their homes with lard-based candles held in tin scounces and sticks but, at the same time, the rich lit bees-wax candles in lavish silver candelabra and chandeliers. 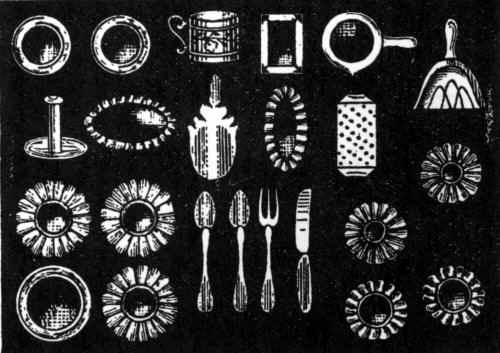 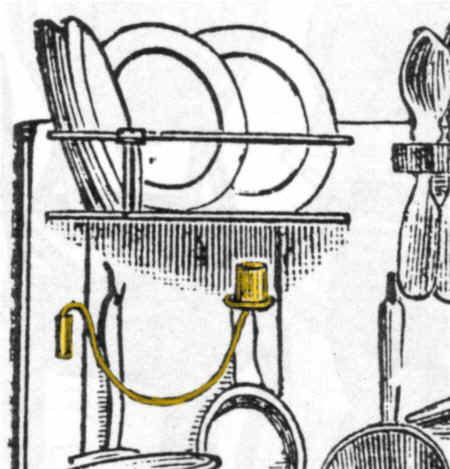 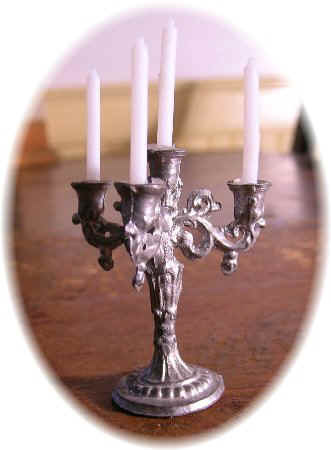 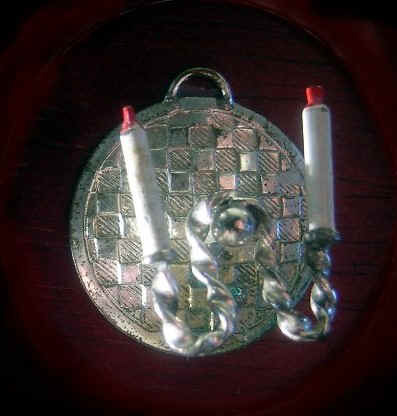 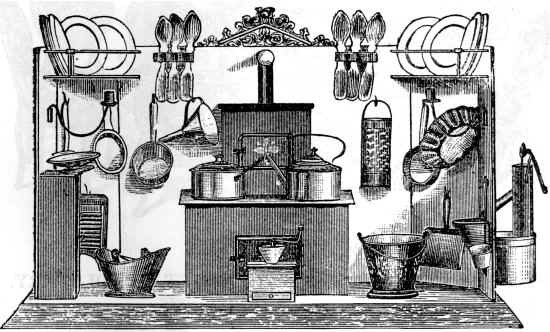 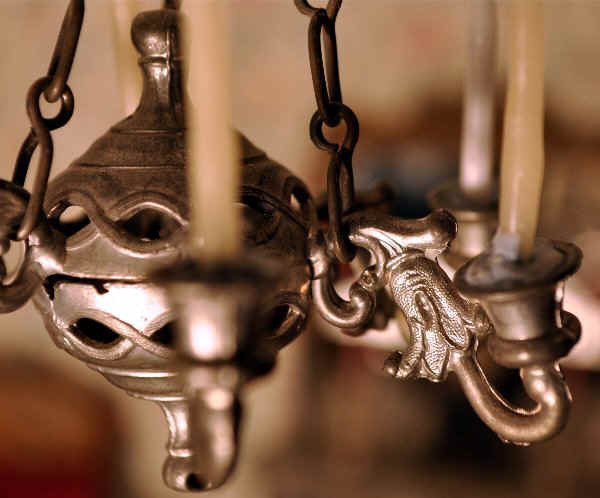 Even in the mansions of the rich, candles in plainer holders and for practical purposes might be used in the service areas and servants' quarters. 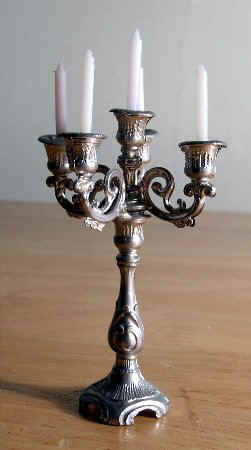 They were also handy to carry in hallways and into dark rooms. 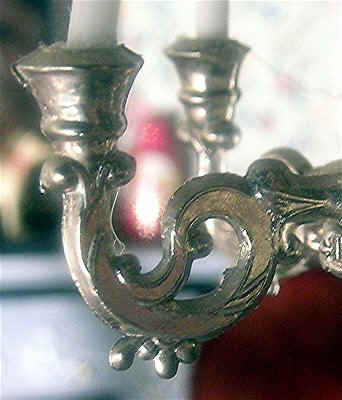 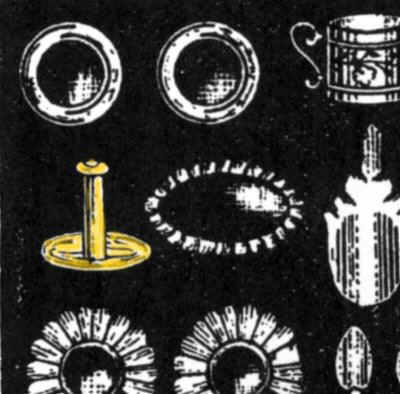 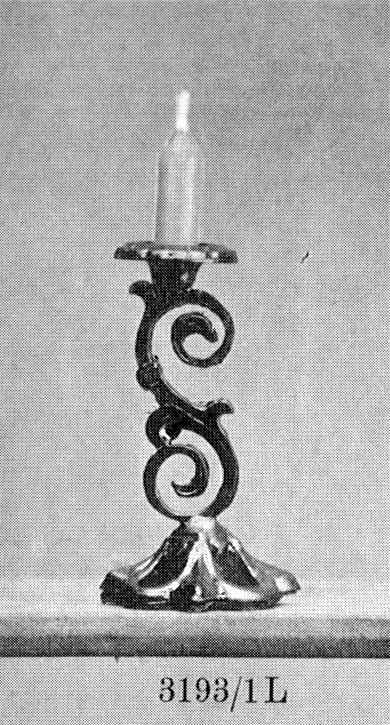 Ormolu candlestick shown in an undated Erhard & Söhne, Germany, catalogue but likely early 20th century; height of metal just under 1½ inches high; the S form, typical of Rococo Revival style, forms vines and breaks into leaves. 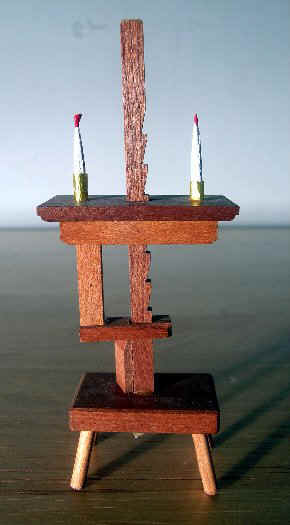 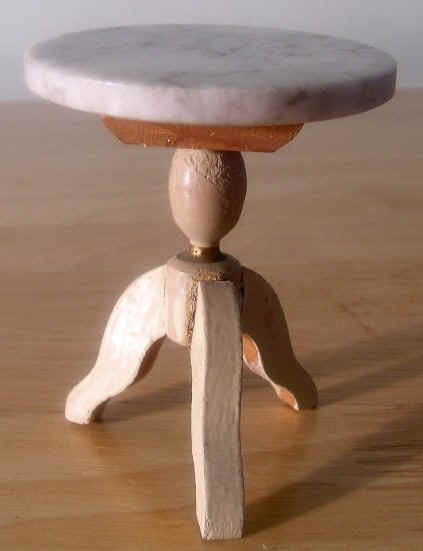 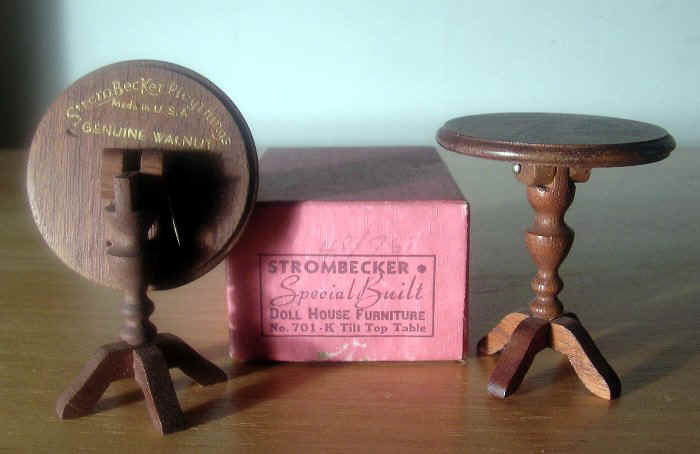 Walnut tilt-tip pedestal candle or lamp table made in the American firm Strombecker in 1938. 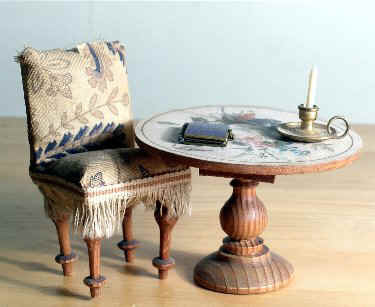 The design is a revival of mid 18th to mid 19th centuries tables.